Life at Stamping Details: Our Next Garage Sale is July 21st! - Sign up Today! 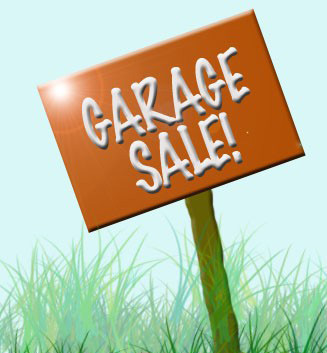 Our Next Garage Sale is July 21st! - Sign up Today! Call today 858/513-8024 to get signed up for our Garage Sale - July 21st. We will assign you a number (or you can use last year's number). Bring the items you have for sale (in good condition and priced to sell). Time to go through those stamps you have outgrown and clean those craft spaces. All items must be in Good condition. Stamps should stamp clean. Paper should to be packaged-no individual sheets. Ink pens and pads should be in usable condition, not be dry. Tools must work. Due to limited storage space items will only be accepted three days prior. Items must be marked by a label with the individual # assigned by Stamping Details. You will fill in the price you want for each item. Call us to get your individual number. Those of you who participated last time can keep the same number, but still need to sign up. You will receive a store credit for the total amount sold during the sale minus 20%. Stamping Details will have tables set up and staff to assist with sales, and to prevent any loss of items however since we are not counting and /or inspecting items, we will not be liable for any items not accounted for or any damaged items at the end of the sale.